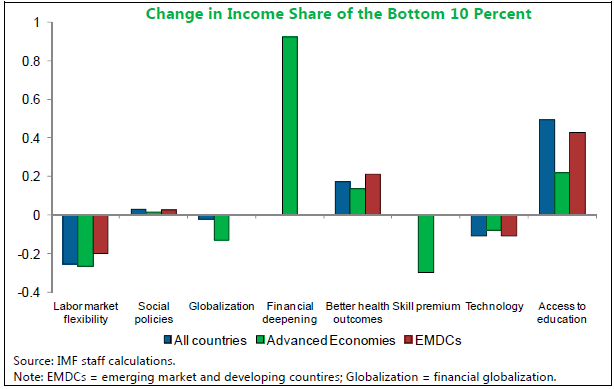 In an important research paper having major policy implications for India, International Monetary Organization (IMF) has declared that the “trickledown theory” -- which believes that economic growth would take care of poverty alleviation – is proving to be counter-productive. Top pro-Narendra Modi economist Arvind Panagariya, new vice-chairman of Planning Commission’s fresh avatar Niti Ayog (Policy Commission), and his Columbia University mentor, Prof Jagdish Bhagwati, are well known advocates of trickledown. 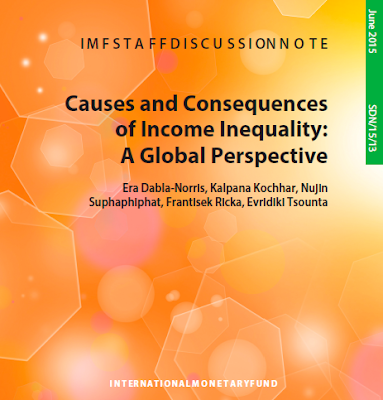 The paper is titled “Causes and Consequences of Income Inequality: A Global Perspective”, and authored by Era Dabla-Norris, Kalpana Kochhar, Frantisek Ricka, Nujin Suphaphiphat, and Evridiki Tsounta. The observation is significant, as it comes close on the heels of Government of India (GoI) strongly advocating exit policy as the cornerstone of labour “reforms” by allowing free hire and fire of workers a norm for industry. Already, several state governments, including Rajasthan and Gujarat, have changed labour laws, making them more industry-friendly, and the GoI is seriously thinking of going in that direction.